One of the mysterious problems happening inside the Galaxy S4 is its audio automatically mutes without apparent reason or cause. Since it is random, it remained a mystery after several weeks since the phone was released. But as the number of owners grows, many users reported this very same problem and savvy ones always had their way to fix, remedy or work around it. We spent at least 3 days trying to replicate the problem and we were able to do it for one instance only. What we did was launch as many apps as possible including games and heavy applications. We also enabled all Smart features of the phone. After all these while in the middle of the game, we tried calling the number and the call was connected but all of the sudden the phone froze and the audio disappeared. Basically, in our case, the auto-muting on Galaxy S4 occurred due to excessive use of the phone's resources (especially the RAM). When it reached the point that all there was no longer sufficient memory to use, the phone froze disabling almost immediately all running services including system audio that also affected Phone app's audio. It may also be the case for other owners who encounter auto-muting while taking incoming calls. 1. Take the battery out of the phone and let it set for 30 seconds. 2. Reinsert the battery and turn the phone on. 1. From the home screen, press and hold the Home button. 2. Hit the bottom left button (pie chart). 3. Tap the RAM tab. 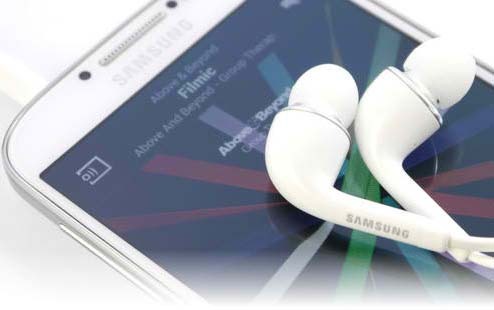 This simple procedure may be enough to bring back Galaxy S4's sounds. In case the problem still persists, this is your last resort: Factory Reset.